On Tuesday, June 16th, in a television interview, Merry Nordeen, a pro-life activist, will discuss her battle to bring pro-life license plates to her home state of Massachusetts. She will discuss this issue on “This Is The Day”. Ever since Merry Nordeen read about the “Choose Life” license plate, she wanted one of her own and has worked tirelessly ever since to introduce “Choose Life” license plates to Massachusetts. She and her fellow supporters need about 1500 people to register for “Choose Life” license plates, which cost $40 a piece. To an outside observer, this task appears easy given that the Mrs. Nordeen is appealing largely to Catholics. Massachusetts population consists of 47% Catholics which translates to about 3 million people. 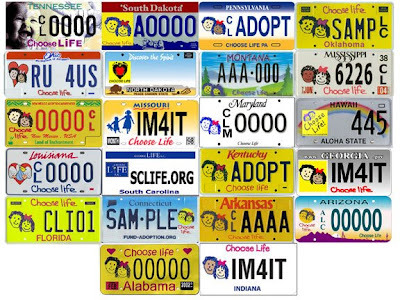 Other states with a fraction of that number of Catholics such as Arkansas, and Alabama already offer “Choose Life” license plates. These were made available largely due to the efforts of pro-life activists and pro-active Catholic motorists. “Over 400,000 “Choose Life” license plates have been sold, and have raised over $10 million dollars to help women.” said the Texas Catholic Conference at txcatholic.org. Few Catholics realize that many pro-life activists had to spend months and even years appealing to legislators to allow for “Choose Life” license plates. In Massachusetts, only 614 people have registered for the plates and about 900 more are needed by June 30, 2009. (source: www.machoose-life.org). 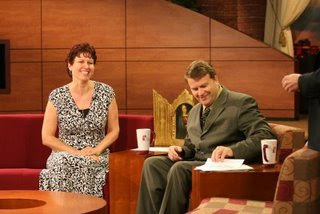 Merry will talk about her cause and her struggles during her interview on “This Is The Day”. Interested parties can learn more by visiting www.machoose-life.org. “Choose Life” activists believe that the license plates, like most prominently displayed messages, have the power to influence. Also featured on Tuesday’s episode of “This Is The Day” will be Dr. Wes Ely, a pro-life activist from Vanderbilt University. Dr. Ely is the faculty adviser to 2 pro-life organizations. One is Catholic: the Society of Saints Cosmas and Damian and the other is a non-denominational group founded by a Catholic. Dr. Ely's research has focused on improving the care and outcomes of critically ill patients with severe sepsis and respiratory failure, with special emphasis on the problems facing older patients in the ICU.